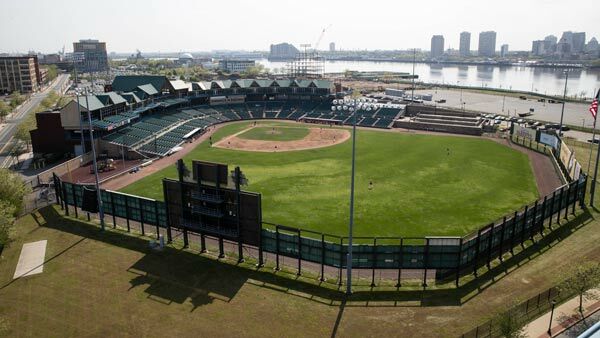 CAMDEN, N.J. -- A baseball stadium that was once considered a linchpin for the redevelopment of New Jersey's Camden waterfront is scheduled to be demolished. The 6,700-seat Campbell's Field originally opened in 2001 for a now-defunct minor-league team. George Norcross, one of the state's most powerful political figures, said Tuesday that the stadium will soon be demolished. The Courier Post reports Norcross also says the demolished stadium will make way for new athletic fields for nearby Rutgers University. A Rutgers spokesman declined comment on Norcross' comments. Camden County spokesman Dan Keashen says they can't comment on the facility's future because the county remains in deliberations with a prospective buyer. The stadium was originally home to the Camden Riversharks, who folded in 2015 after failing to reach a lease agreement with the county.